Both sides head into the match at the London Stadium fresh off the back off FA Cup victories and some mixed Premier League results – Unai Emery and Manuel Pellegrini will both be desperate for three points to ensure their season targets are kept on track. Gunners fans will be able to watch West Ham vs Arsenal live stream on Saturday with the kick-off coming at 12:30pm lunch-time for UK viewers. The game will be live on Sky Sports Main Event and Sky Sports Premier League from 11:30 in the morning – if you are outside of the UK then check your local listings. This London derby could be significant for the Gunners keeping it close to the top four and also keeping ahead of the now in-form Manchester United, hot on the heels. The game will be covered on various sport radio channels as well as live commentary blogs e.g. BBC Football and Sky Sports. If you want an All Arsenal perspective then make sure to join us on Facebook where we’ll be doing live key commentary throughout this London derby clash! Don’t forget to check out the full and detailed match report after full-time. With the Gunners recording four wins (and a draw) out of the last five meetings between the London rivals West Ham it would appear on paper that impressive head-to-head stat will be extended on Saturday. The last time Arsenal lost to the Hammers was back in 2015 and with this match taking on a bit of ‘must win’ feel for the Gunners considering teams winning around them, the Hammers would appear to be the perfect opposition. 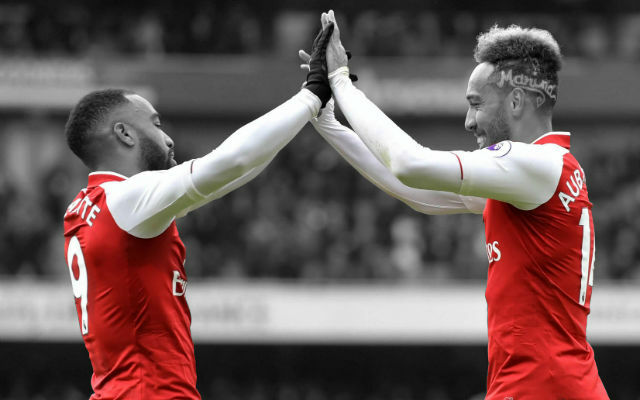 Winning will put a much needed three points on the board in the Premier League – taking the Gunners to 44 points. If Chelsea lose at the weekend and Arsenal win, both will be on the same points, however a surprise loss could see Manchester United move to 41 points and potentially overtake Arsenal on goal difference.